I’m firing up the grill tonight and I hope you have similar plans. 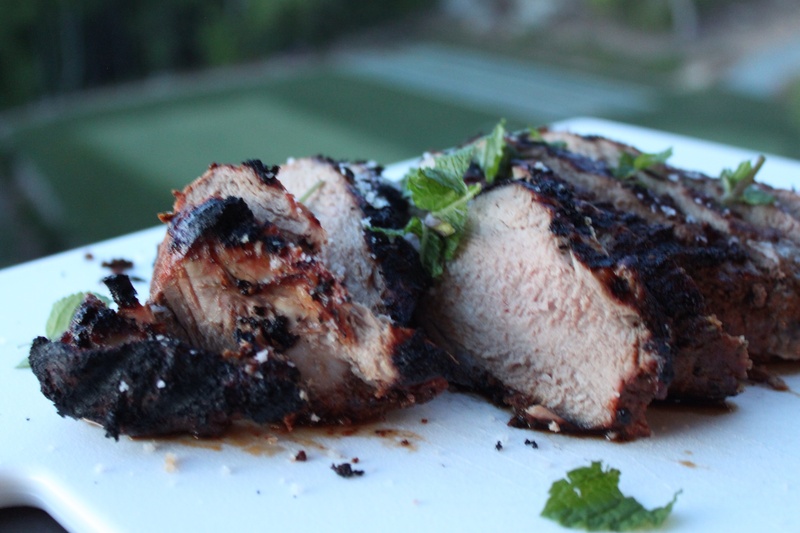 Last weekend, I made this delightfully spiced Morrocan spiced pork tenderloin. It’s sweet, spicy and perfect with simple fresh salads. If you don’t have plans for tonight, I’ve made them for you! In a small bowl, combine the coriander, cumin, chile powder, brown sugar, salt, cinnamon, caraway, black pepper and oil, pressing out any lumps of sugar. On a baking sheet, rub the mixture all over the pork and let sit, covered at room temperature for 1 hour or refrigerate for 4 hours or up to overnight. Return to room temperature. Light a grill and oil the grates. Grill the pork over moderately high heat, turning occasionally, until lightly charred and an instant read thermometer inserted into the thickest part registers 135°, about 9 minutes. Transfer to a cutting board and let sit for 10 minutes, loosely tented with foil before cutting into thick slices.